Fingerpicking can be pretty daunting if you’re new to ukulele. It sounds really impressive, looks very complicated and as a result it can take a while to really to get to grips with, but did you know there’s another option? There are two tips I learned when playing guitar that I think are the two most important things I ever learned. Fortunately for you guys these lessons translate perfectly to ukulele and are simple enough to get to grips with. Strumming patterns – some people can’t play without them, others never use them. Personally I never really know which pattern I’m playing unless I analyse afterwards, but I know some people really need a strumming pattern to guide them through a song. With that in mind I’ve put together a PDF of 32 ukulele strumming patterns to help anyone that needs a little inspiration. Recently I’ve been thinking a lot about practising and progression. I’ve not been too happy with my progression over the past few weeks – sometimes it feels like I’m not really learning much or it’s just not sinking in. 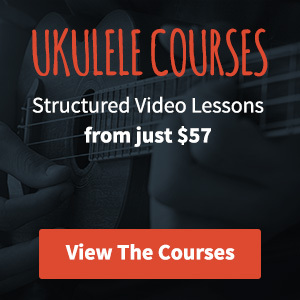 If you really want to develop your ukulele skills as quickly as possible then it’s important to get yourself a practice schedule sorted out as soon as you possibly can. Check out my daily 20 minute practice schedule to get you improving quickly.